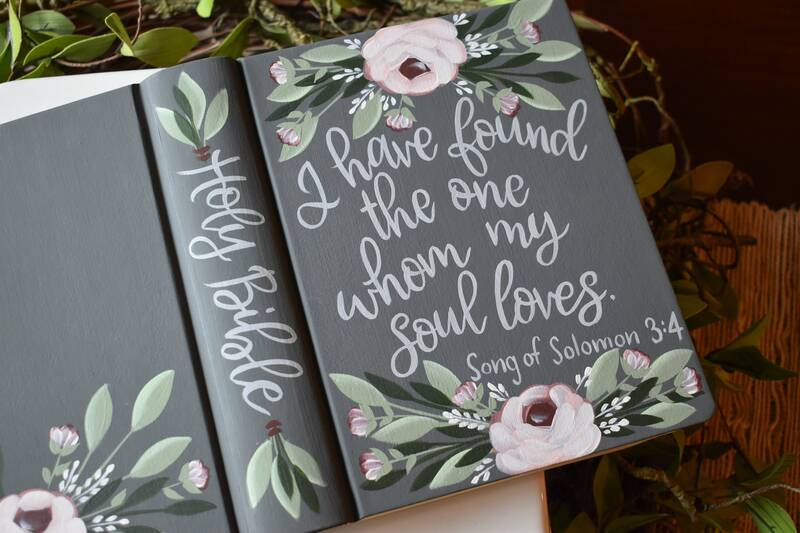 **Bible example shown is warm gray with florals added in shades of maroon, rose pink, blush pink, white and soft peach. 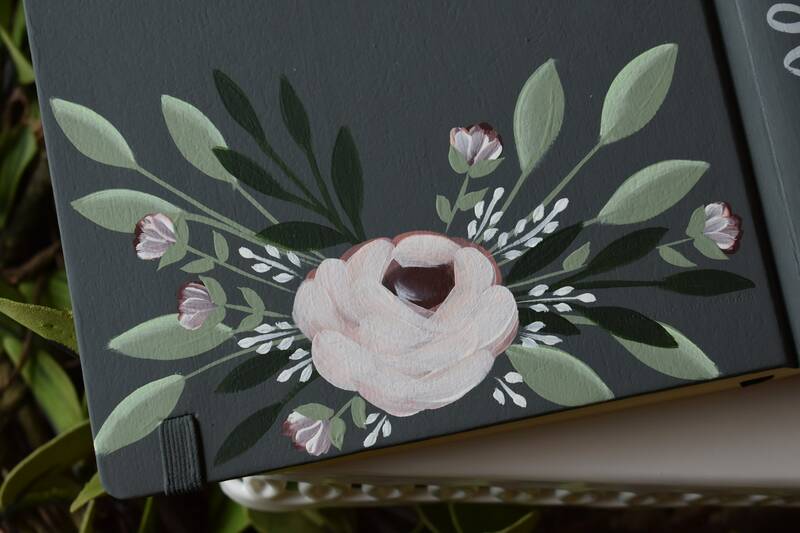 Foliage is added in shades of dark pink, olive and soft sage green. 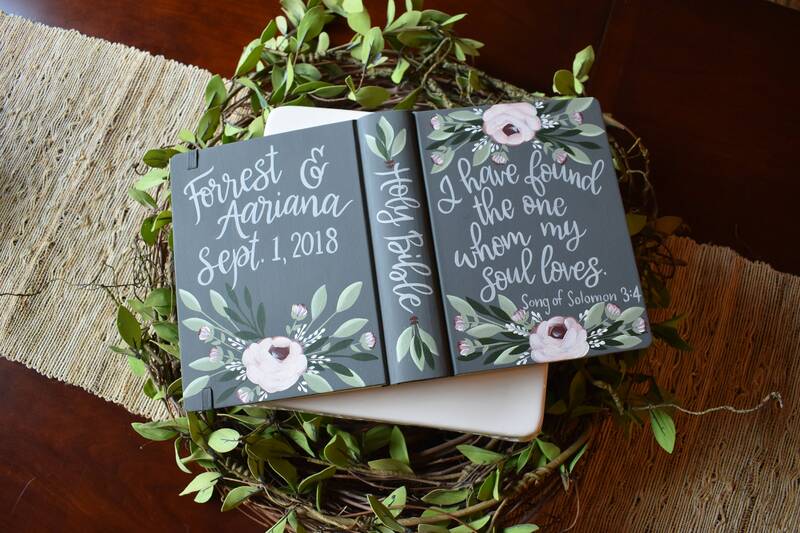 Lettering is light gray. Metallic gold, metallic silver, metallic copper, metallic rose gold, and white are also lettering color options. 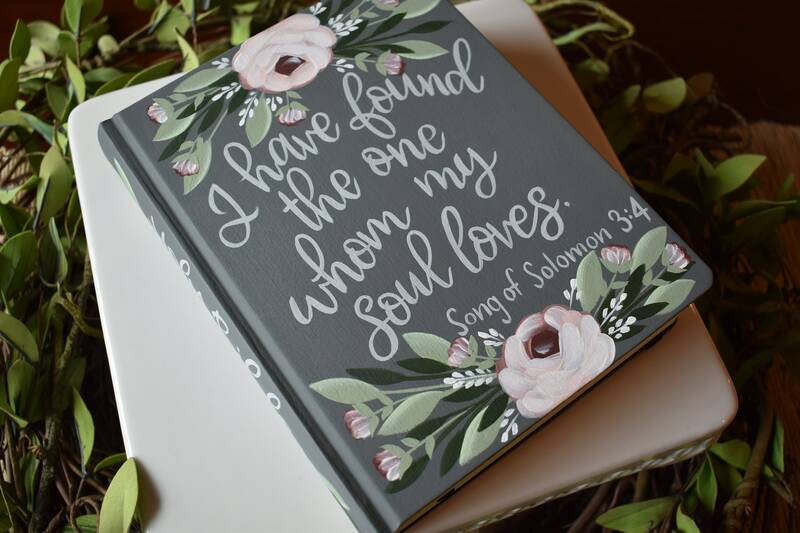 Please indicate in the message box when ordering what lettering color you wish to have on this design. 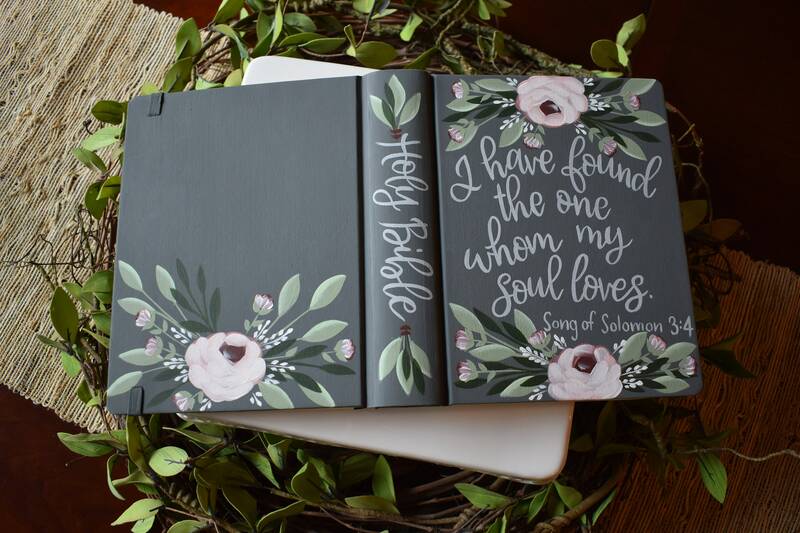 Julie exceeded ALL of my expectations for this beautiful Bible that I will be using as my daughter and her fiance's Wedding Guest Register. From the first contact, even down to the special delivery touches she included in the shipping were incredible. Thank you for making this such an incredible gift. You are beyond talented!! I would highly recommend The Whimsy Brush for any of your personal needs.